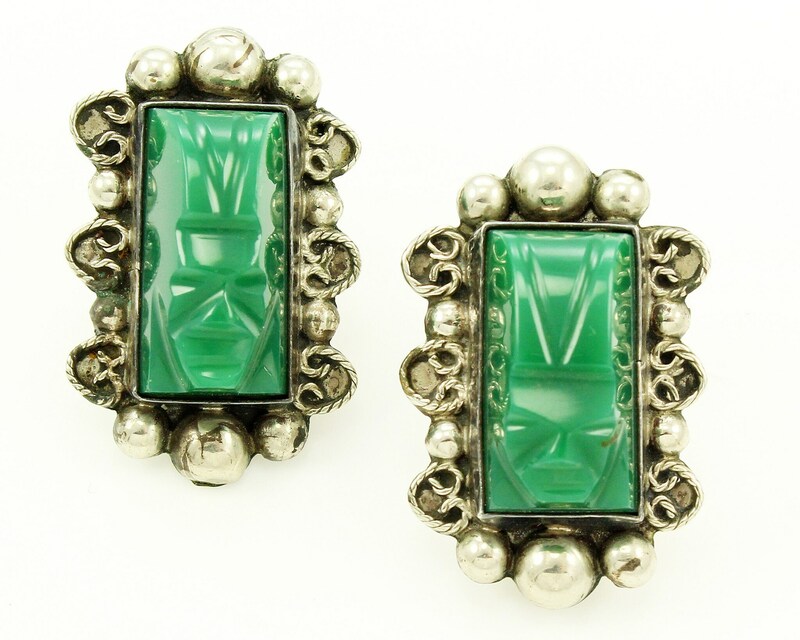 Vintage Mexican Silver Green Onyx Carved Warrior Mask Earrings. 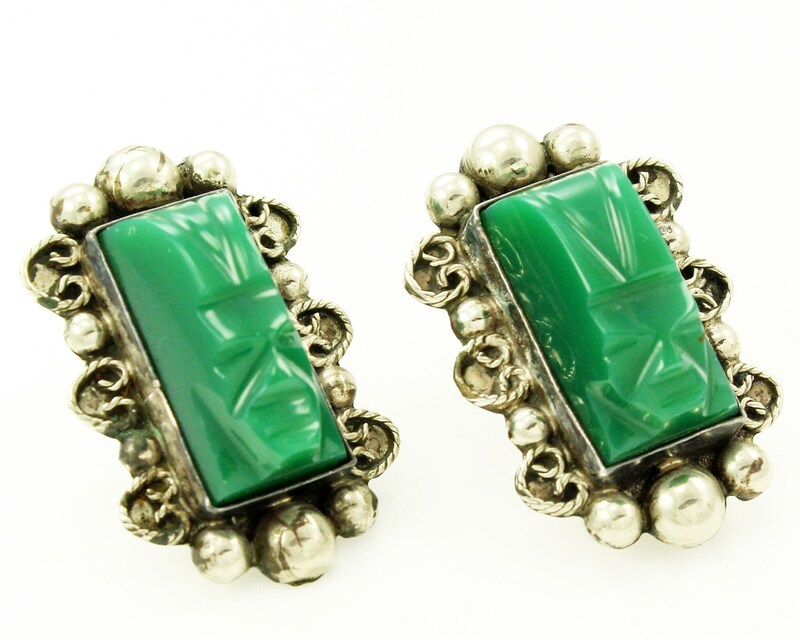 made about 1940, these earrings feature rectangular carved green chalcedony or agate Aztec style masks. Each is framed with domes and scrolls and finished with screw backs. In Very Good Vintage Condition, with a tiny bit of green verdigris from low silver solder. 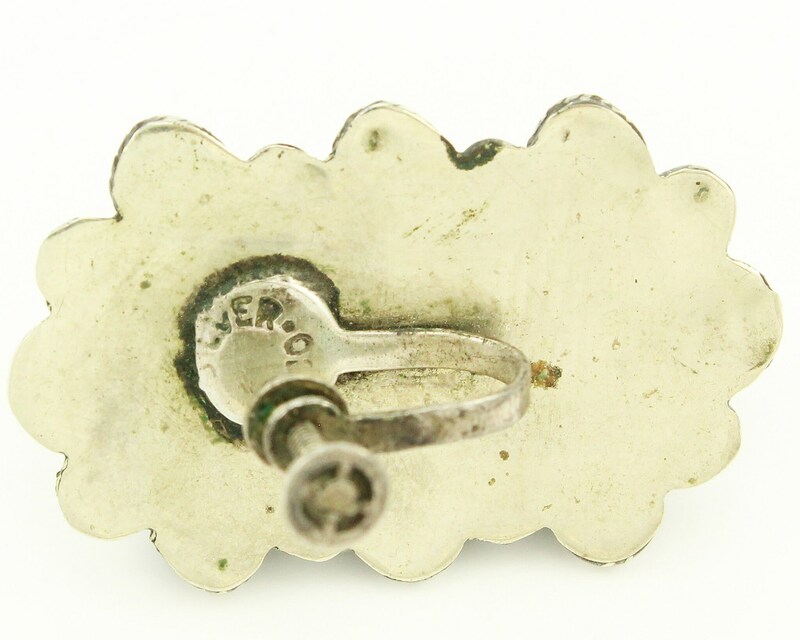 HALLMARKS/HISTORY: Barely discernible "Silver Mexico" stamp. Test as sterling. 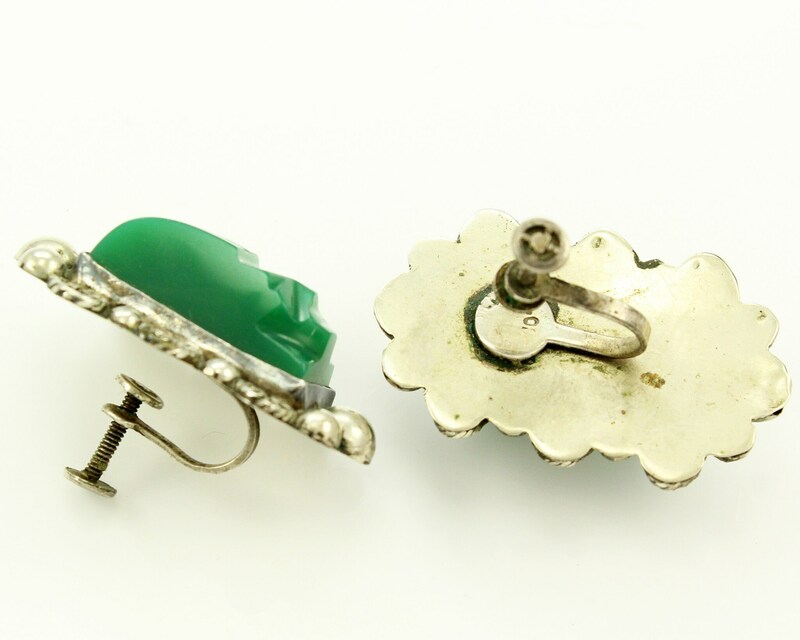 CONDITION: In very good vintage condition, with minor green verdigris from the low grade silver solder used on the applied decoration.